But that would all change one day in 1996 when, following a long worldwide tour and brief hiatus, Collins decided he had finally had enough. He quit the band to focus full-time on his solo endeavors, ending a 20-year “experiment,” as the band cheekily phrased it in a press release. Once again, Genesis found themselves without a singer. Insistent on carrying on, Banks and Rutherford could’ve chosen anybody in the world, but instead they went in an unexplained new direction. Ray Wilson was eating breakfast at his home in Edinburgh, Scotland when he got the call. At the time, he was the singer of an alt-rock band called Stiltskin, who played the same type of music Genesis was competing with in the early 90s. Their debut album, The Mind’s Eye, contained a minor hit titled “Inside,” which topped the UK singles chart and apparently was used in a Levi’s commercial back in the day (I do not remember this, but maybe you do). Otherwise, they were pretty unknown in the States. At some point in 1996, a Stiltskin CD landed in the hands of Rutherford and Banks, and they were impressed with 28-year-old Scottish singer. His full, throaty vocal delivery that had a “natural darkness” to it (as they put it), and while Wilson didn’t quite have Collins’ range (to be fair, not many people did), his gruff and rumbling voice resembled Peter Gabriel’s in a way. The duo felt that Wilson’s voice would be well-suited for the darker, proggier direction they wanted to explore on the next album. So, after a brief audition, Wilson had a choice. He could try to build upon the success of “Inside” with Stiltskin (apparently, Interscope was interested in re-releasing The Mind’s Eye in the US, but after some pushback, they signed the band Bush instead), or he could front one of the biggest rock bands in the world. It was an offer he couldn’t refuse. 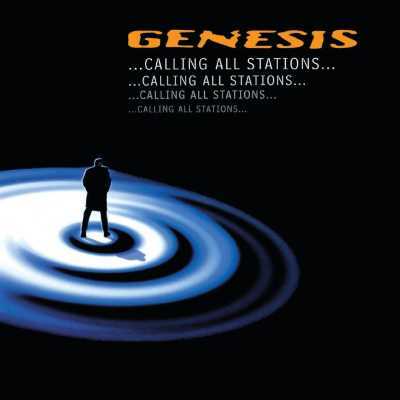 On September 1, 1997 — 20 years ago today — the band released Calling All Stations, their only album featuring Ray Wilson. It would also be the last album of new music Genesis would ever release. Comprising 70 minutes of music over 11 tracks, the album is a dull drag that feels longer than The Lamb Lies Down On Broadway, Genesis’ magnum opus double album. While that album was effortlessly dark, strange, and timeless, Calling All Stations felt overwrought and forced; a mix of terribly dated ’90s progressive rock and a few radio-friendly singles. “Congo” and “Not About Us” are pleasant enough, but the rest just didn’t have that spark. Wilson, as decent a singer as he was, had a hard time improvising in the studio. While he came up with a few of the lyrics for “There Must Be Some Other Way,” “Not About Us,” and “Small Talk,” it still wasn’t enough. The album lacked any sort of transcendent hit — that one song that screamed “Genesis.” Even their worst album up to that point at least had “Abacab.” You’d have to think some of the songs on here could’ve benefited from that Collins sheen. “If Phil had been there I just know it would have just taken off and gone somewhere else,” Banks recalled of the songs on Calling All Stations. Collins had a knack for writing a catchy pop song. He provided that extra coat of gloss to Banks and Rutherford’s base structure. Without it, the record suffered. What’s most frustrating about all this, to me anyway, is that Genesis already had a perfect swan song, “Fading Lights,” the final moment on We Can’t Dance. It’s a sprawling 10-minute epic in which the band mediates on coming to terms with the end of an era. It would be the last time we would hear the trio of Collins/Rutherford/Banks on record firing on all cylinders like they did on the song’s lengthy instrumental breakdown, and it would’ve made for a fitting epilogue. Banks’ lyrics revealed an inner dilemma: was it time move on? It’s kinda sad, in a way. Change is one of life’s biggest challenges we all have to cope with at some point. Clearly, Collins was willing to see the end, but Rutherford and Tony couldn’t let go of the band they started way back when, thinking there’d always be one more day to go. Like an aging athlete, they refused to admit their time was done, and in turn, they became a lesser version of themselves. We’ll always have those great Genesis albums to look back on — everybody has a different favorite — but Calling All Stations will always be that one blemish on the band’s history that’s hard to ignore. In the end, that is its only true legacy.